Blue, green, red... and white! 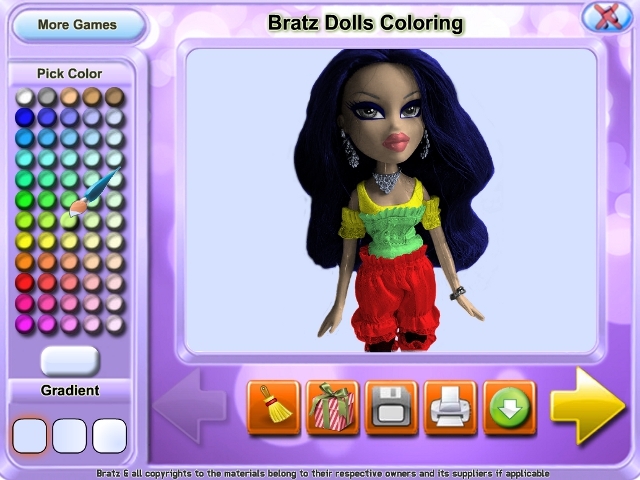 There are so many different colors and shades in the new puzzle game under the title Bratz Dolls Coloring. Choose your favorite Bratz Doll friend and paint her dress with different colors! It's only up to you to create a unique image for these trendy dolls. There you can find the best collection of Bratz Dolls which are notable for their great passion for fashion. Play this funny game and have a good time in the world of Bratz with Cloe, Jade, Sasha and Yasmin! 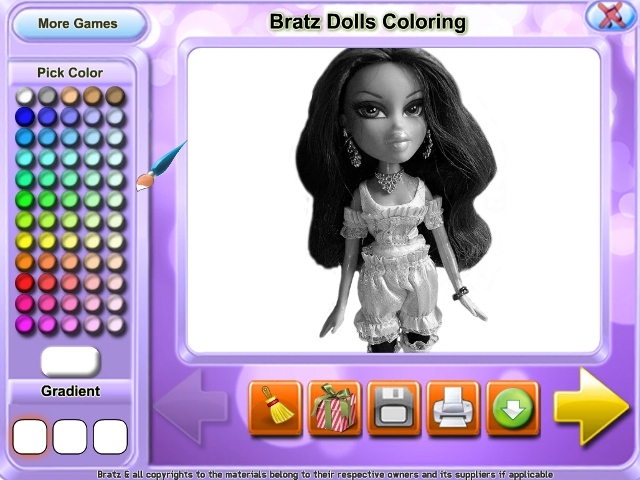 Download Bratz Dolls Coloring totally for free right now! 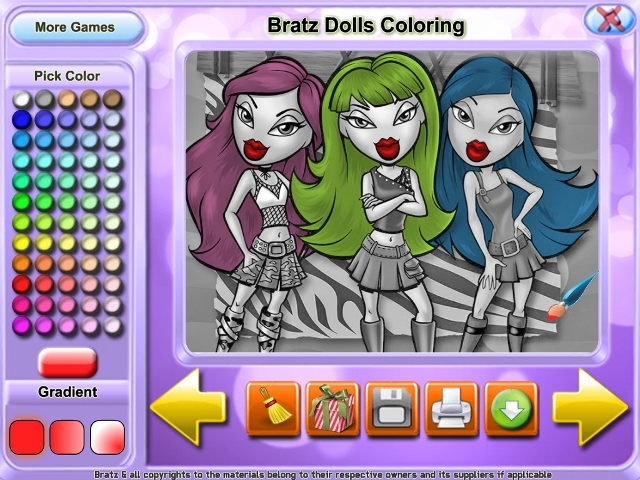 Title - Bratz Dolls Coloring Game Download for PC and Mac Description - Amuse with Bratz Dolls Coloring, a Puzzle game developed by DoubleGames.com. Join the gang of fashion girl Bratz and have a lot of fun with them!